The Airfield P51 Mustang allows you to relive the experience of the P51. 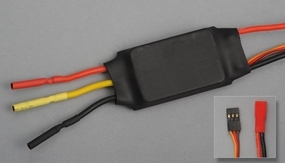 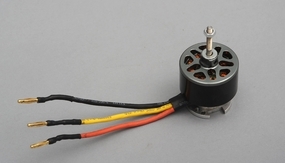 Its power system is juiced by a high powered 1300KV Brushless Motor powered by a Airfield 20 amp brushless electronic speed controller. 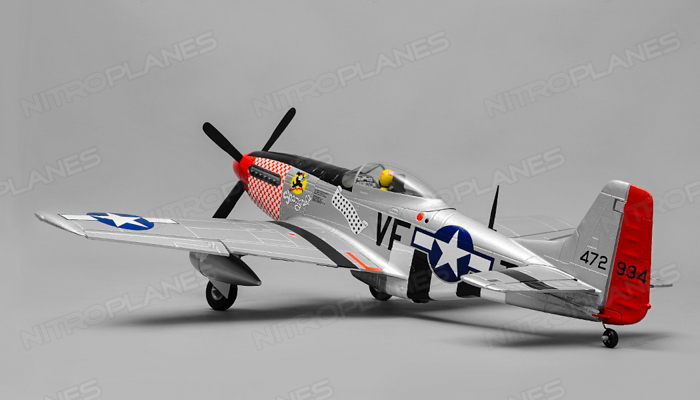 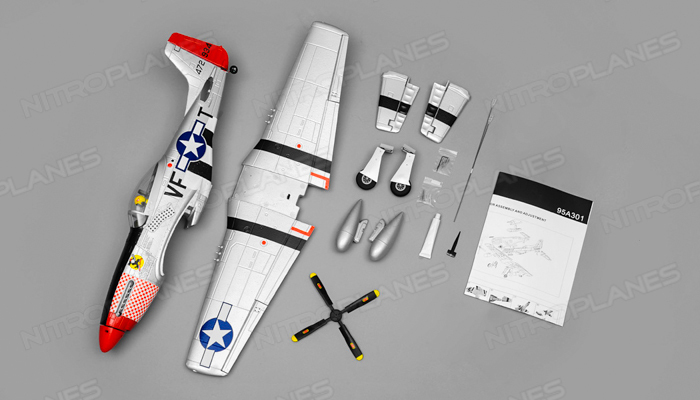 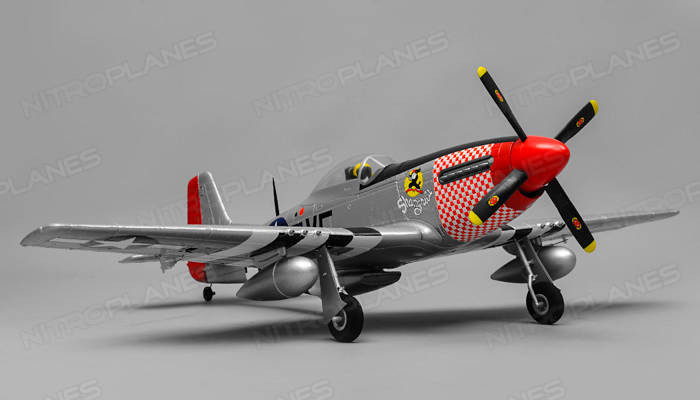 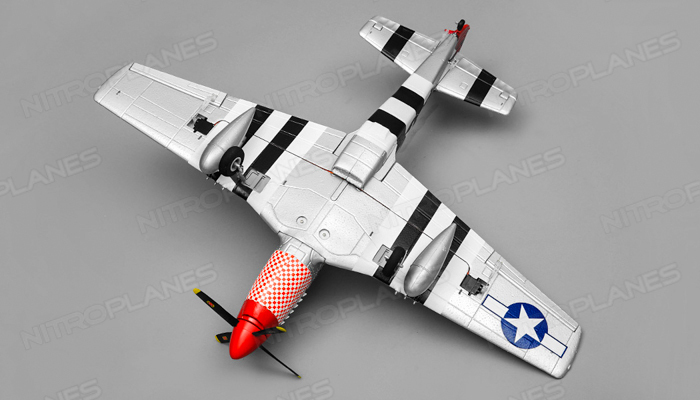 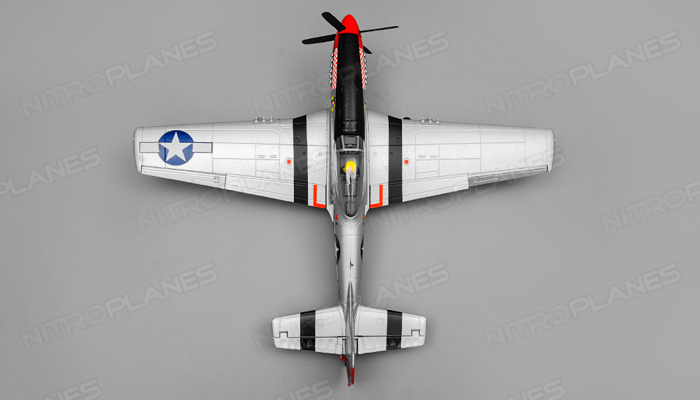 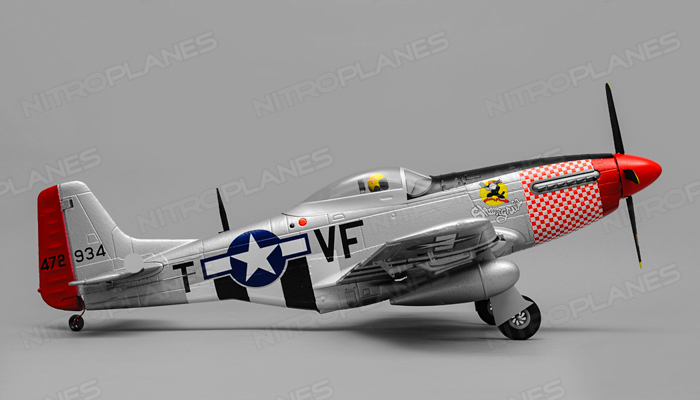 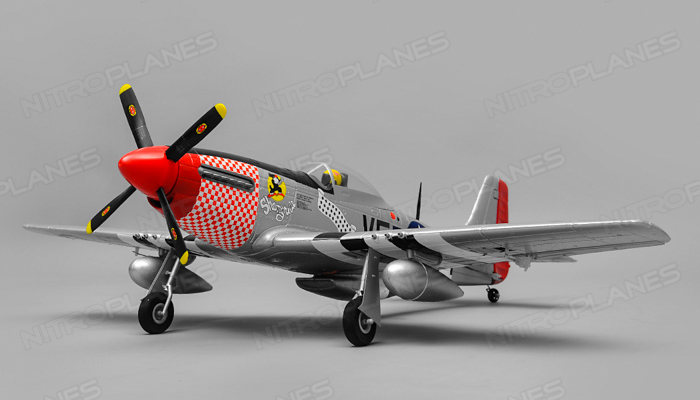 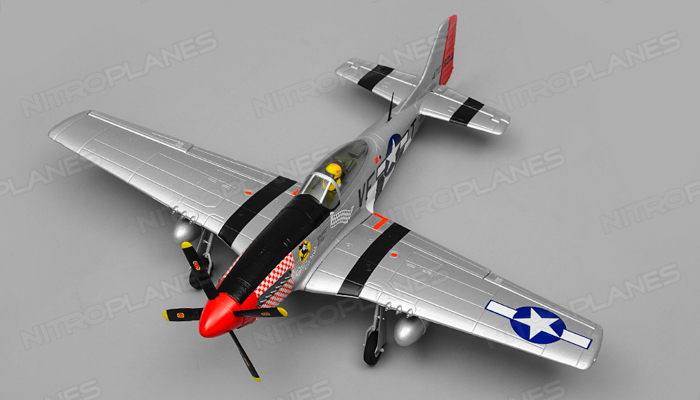 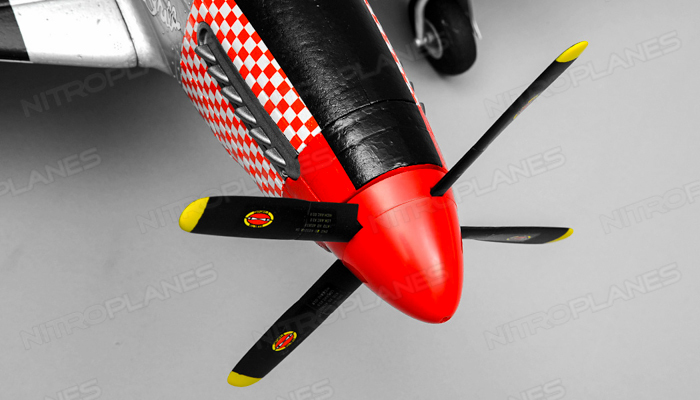 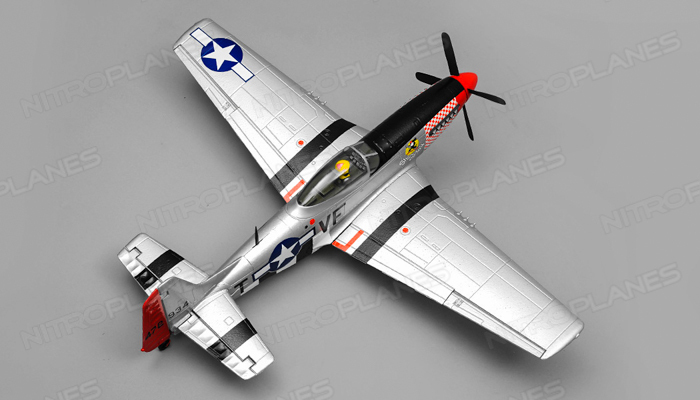 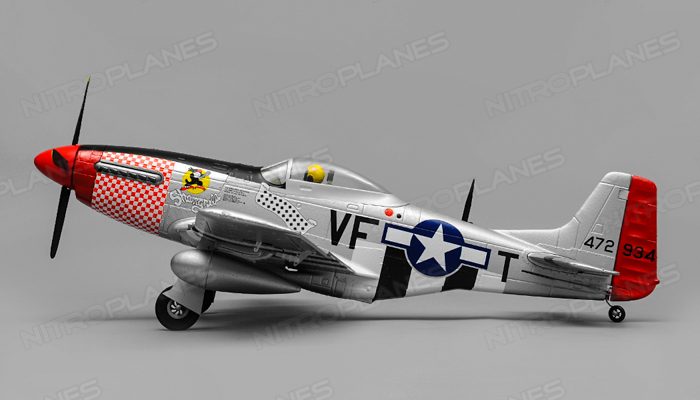 The new P51 Mustang by Airfield is a true scale, ready to fly, model aircraft. 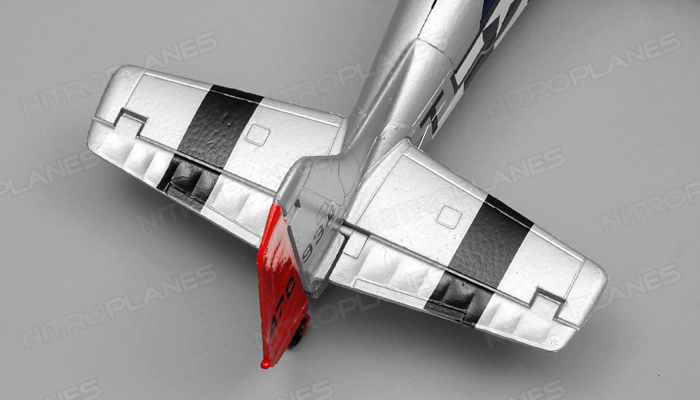 Scale looks make this plane stunning in the air and taxiing on the ground. 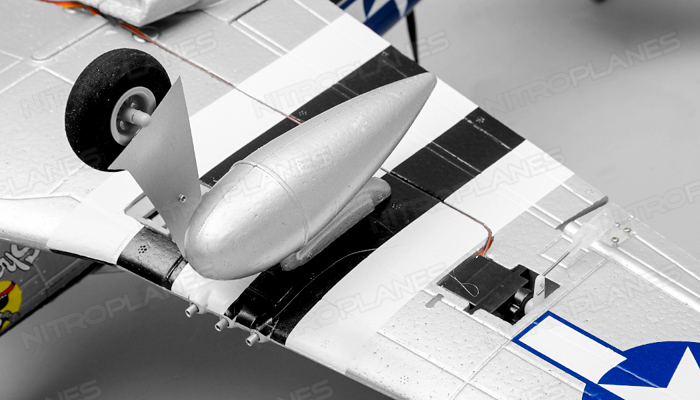 Months of flight testing and design yield an aircraft that is super stable and capable of maintaining flight at slow speeds that allow the pilot to master flight mechanics with ease. 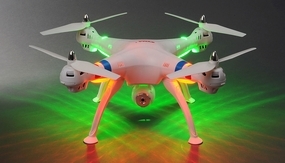 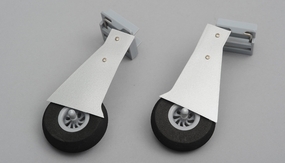 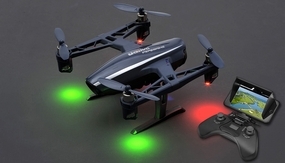 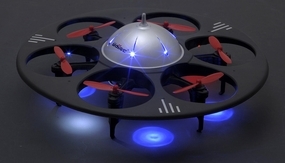 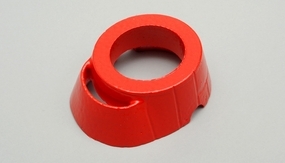 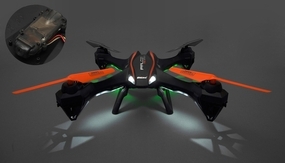 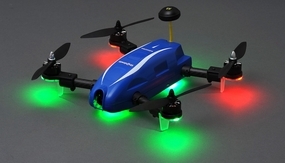 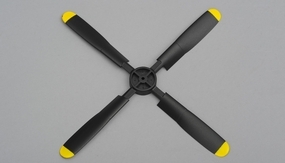 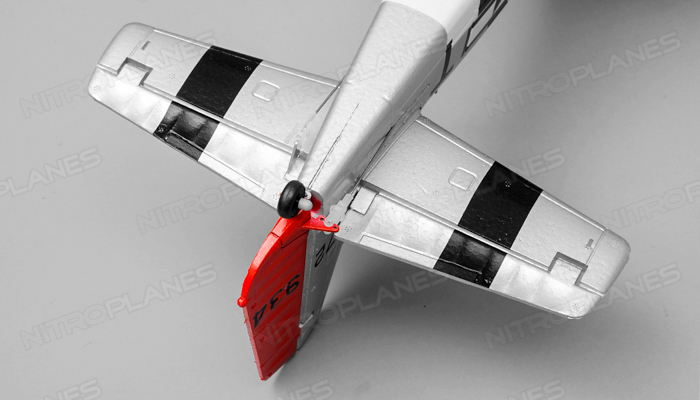 This plane will easily take off from any smooth surface on its scale landing gears. 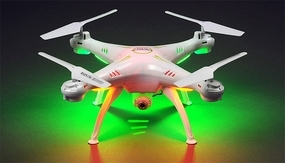 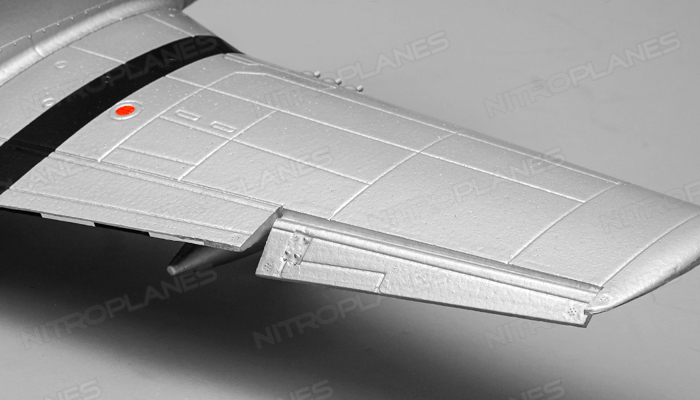 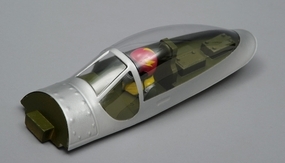 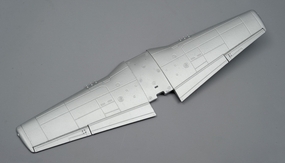 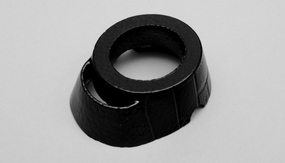 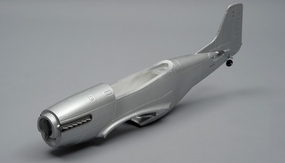 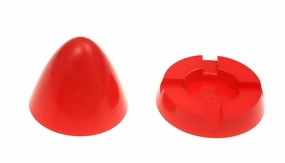 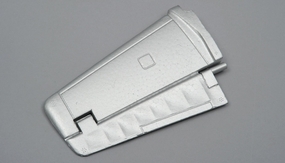 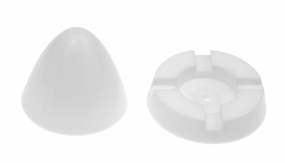 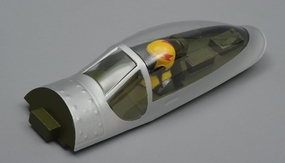 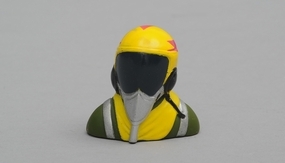 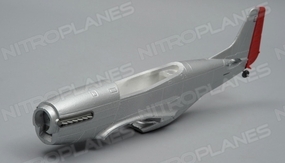 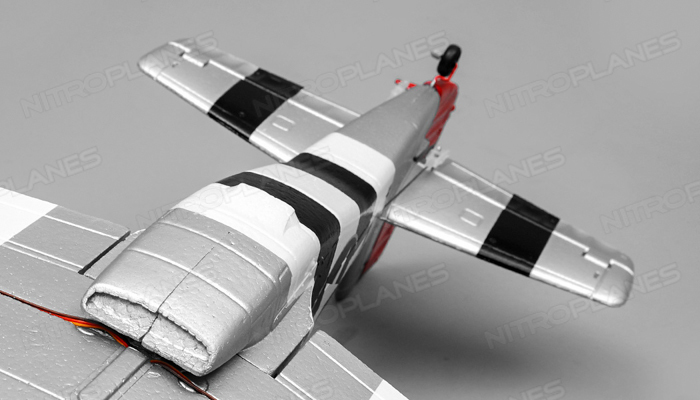 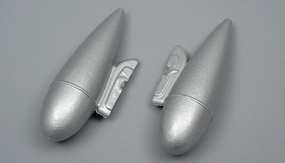 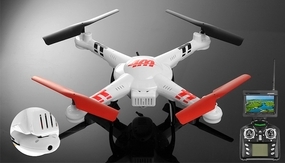 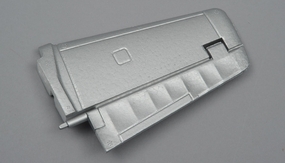 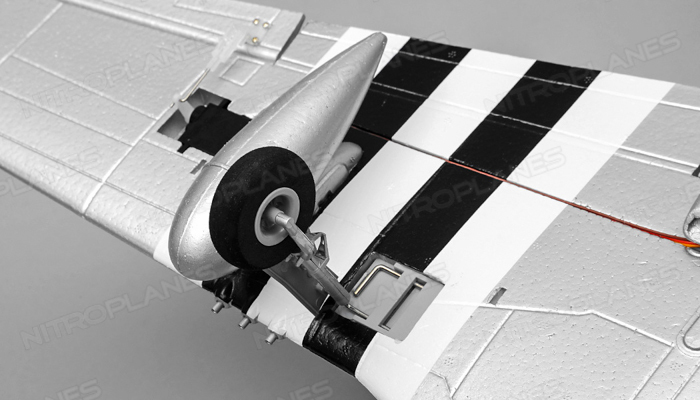 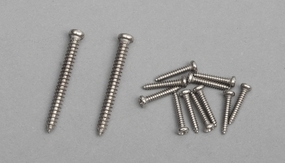 The fuselage and wings are constructed from a high strength EPO foam for added durability. 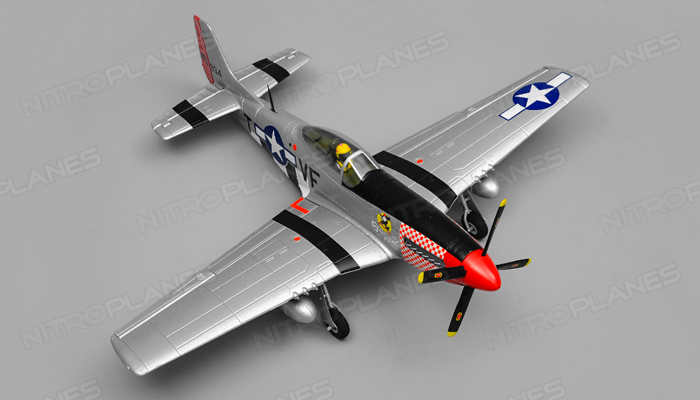 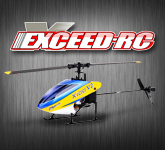 8-12 minutes flight duration on the battery allow for ample time to enjoy this scale warbird. 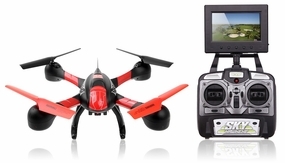 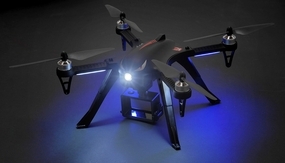 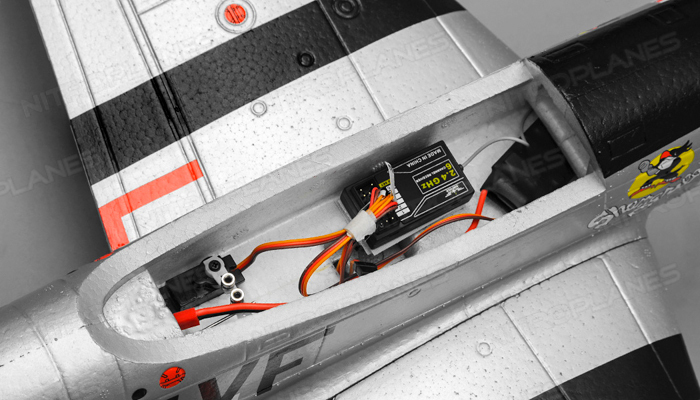 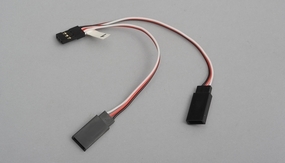 ***The almost ready to fly version allows the pilot to install their favorite radio system and choose the battery of their choice. 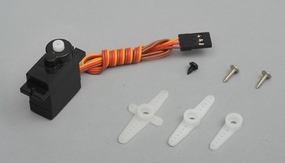 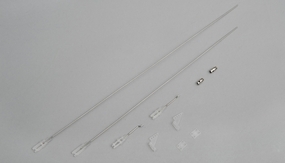 The servos, motor, and esc are pre-installed. The quick and easy build time allows you to get this bird in a day, not weeks!